Food Dehydrator Just $56.20 PLUS FREE Shipping! Was $100! You are here: Home / Great Deals / Amazon Deals / Food Dehydrator Just $56.20 PLUS FREE Shipping! Was $100! We were recently gifted a dehydrator by one of the kids and we have been having so much fun with it! Aarn has made beef jerky and last week we started drying out the over abundance of herbs from the garden. Right now you can grab this great deal on one of your own! It’s normally priced at $, but, right now it’s almost 1/2 off! 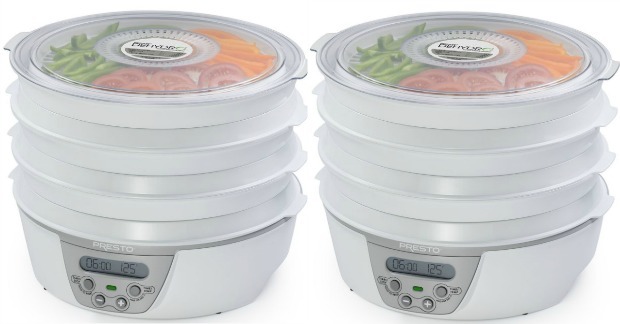 You can get this food dehydrator for just $56.20 PLUS FREE shipping!